PRICED TO SELL! 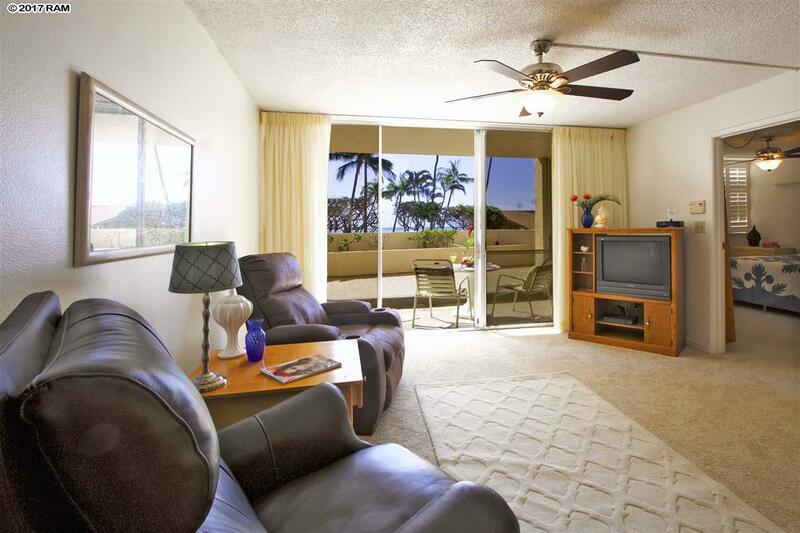 BEST VALUE FOR OCEAN FRONT/OCEAN VIEW 1 BEDROOM, FEE SIMPLE, IN WEST MAUI (AND SOUTH MAUI)! From the moment you walk in, you will be greeted by the beautiful sights and sounds of the Blue Pacific surf. You'll love the convenience of this ground-floor unit, with easy access to the swimming pool and barbecue area, the shoreline is just few steps away, and parking close to unit....no need to use the elevator! Lovingly cared for unit is now ready for new owners, with a little vision you could make this an amazing beach condo getaway! 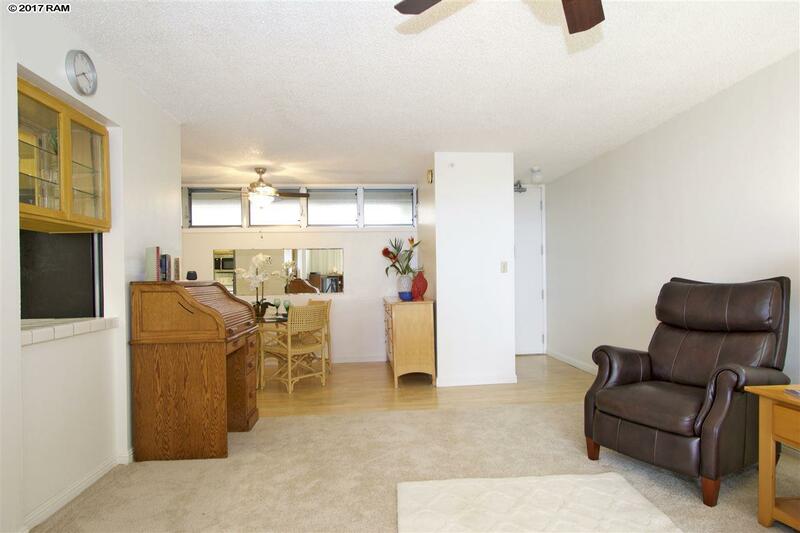 Some recent upgrades include: new window jalousies in living and bathroom, fresh coat of paint, new carpet, new ceiling fans, new hood style microwave, and new outdoor carpet for lanai. Other features include: Generous sized living room, dining room, and master bedroom with plantation shutters & walk-in closet, en-suite full-size washer/dryer, stainless steel fridge and dishwasher, tiled floors in bath/kitchen, laminate in dining room, lots of little unique storage spaces, covered lanai area for outdoor dining, etc. 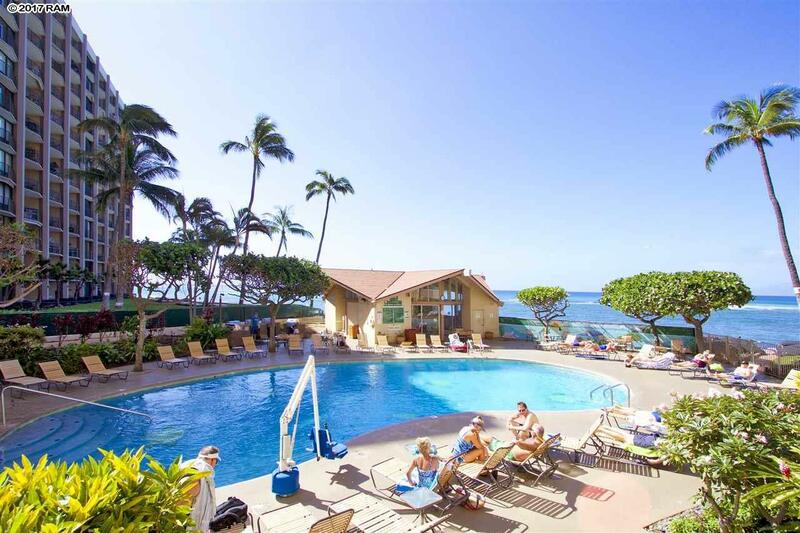 Royal Kahana is a condo-tel building, rising 12-stories high with ocean front swimming pool, shuffle board, barbecue areas, underground parking, tennis courts, grassy lawn area with lounge chairs to read your fave book, or take an afternoon nap, or just marvel at the multi-island views! Don't forget to catch daily sightings of turtles along the bay, and whales during the winter season. There's even a hotel front desk run by the Outrigger Hawaii and activity desk which makes you feel like you're living in true resort style! 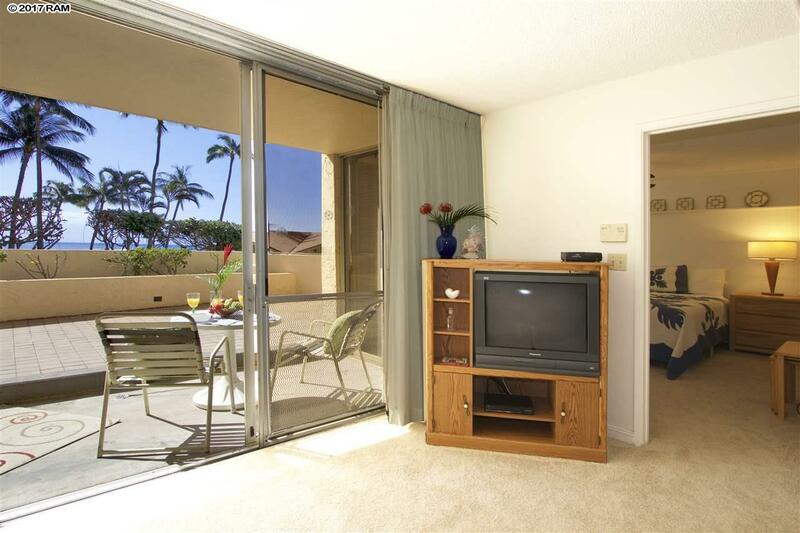 Don't miss out on this exceptional value for an ocean front complex in desirable Kahana.